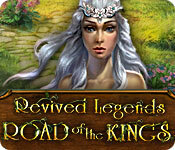 Save two worlds in Revived Legends: Road of the Kings! What started out as a normal day takes a turn for the fantastic when you drive into a strange fog bank. Inside, you learn that the fog is slowly blending our world with a magical realm. Soon both worlds will be destroyed, and you are the only one who can still save them! Now you must embark on a journey down the legendary Road of the Kings to confront the villain and his terrible fog. Explore enchanting locations, meet fantastic creatures, and solve perplexing puzzles as you become the hero of two worlds in this beautiful Hidden Object adventure! Revived Legends: Road of the Kings is rated 3.7 out of 5 by 26. Rated 5 out of 5 by rosekaufmann from GREAT CHALLENGING GAME Very colorful and challenging adventure HOG. Artistry is well-honed to the locations. Great animation. Puzzles are moderately challenging; HOGs are slightly crowded but well defined objects. Adventure story is well thought out and quite different from the usual. The 2 pets are very helpful once you figure out what they do. Hint system not the most helpful but adequate (it just shows where you have an action available, but doesn't tell you how to do what you know you have to do - such as how to light the torch). A pleasure to play. Rated 5 out of 5 by JustTheFacts from Kinda Kool! BASED ON DEMO FIRST IMPRESSIONS What first impressed me playing this, is how incredibly bright, bold and brilliant the artwork is. We have seen a lot of beautiful games with breathtaking graphics lately, and this is just another of those. But it is as astonishing as if it were the first one. They have also gone heavy-duty bold and beautiful on the cute assistants as well. (Yes, I do mean more than one). SIGHTS & SOUNDS So, visuals are gorgeous. 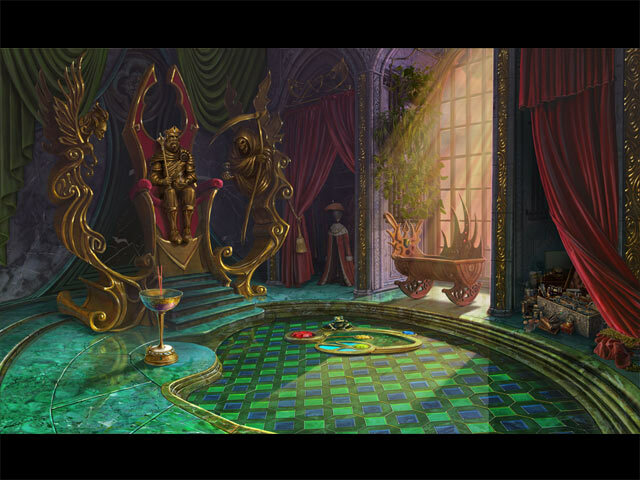 The locations are imaginatively drawn, and the characters look great. Music is pleasant and light, ambient sound is not loud enough to intrude, but it is there. Excellent voiceovers! British and oh so enthusiastic about the part they are playing in the mystery. WHAT’S HAPPENING An evil wizard has been accidentally set free of his confinement and is set to destroy two worlds, ours and another far more magical one. The first sign of this invasion seems to be an evil fog that transforms innocent things into rampant vicious vegetation. Including people who are being turned into trees. Your job of course is to sort it all out and recapture the wiz. You enlist the aid of magic creatures who assist you after you release them from whatever bonds the wizard has used to restrain them. Some stick around to team up with you. First you get a raccoon who offers his help climbing trees etc. Then you hatch a baby dragon, who helps you with fire. There’s also a star (goddess? fairy? ), that offers history information whilst you seek out her amulet pieces. That’s a lot of help! And a heck of a lot of cute too! You run across many more fanciful creatures, too, on your way. MAKING PROGRESS Along with the usual HOPs and other puzzles, this game has a mini-game for charging magical runes, that you will need to keep going. This is an original as far as I know, and involves both a little hand/coordination and brain power. At each occasion when it appears, it is slightly harder than the last one. The HOPs are interactive lists. There are many puzzles, with varying degrees of difficulty. There is a journal and an interactive jump map. Hint is directional. You can opt to change what indications are given in the map and what sparkles and tips you want. Moving along with the story is sometimes tricky because there are all these portals! But it is great fun. FINAL VERDICT I keep coming back, with this one, to how beautifully full-colour it is. And odd. There is definitely a little bit of oddness here, in the characters, if nothing else. And yes, the cute assistants are in the SE game. Rated 4 out of 5 by RevKellie from Kept Bringing me Back I really didn't want to like this game. The graphics are old school and cheesey, the voice overs are awful and the HOS are ludicrously easy. BUT - I would play for a while and get lost on the story and game play over and over again. Eventually, I just had to admit I liked the game - flaws notwithstanding. Pros: the story is interesting and the add ons (over swamps, dragons, druid forests) keep you guessing as to what's going to happen. Mini-puzzles are Easy to Medium and don't distract from game play. Excellent map and transport system. Cons: Graphcs, voiceovers - horrible, HOS scenes are silly and easy, toward the end the game degenerates into "Go here, find this, go there, use that." Still - it was a fun game - in spite of itself. 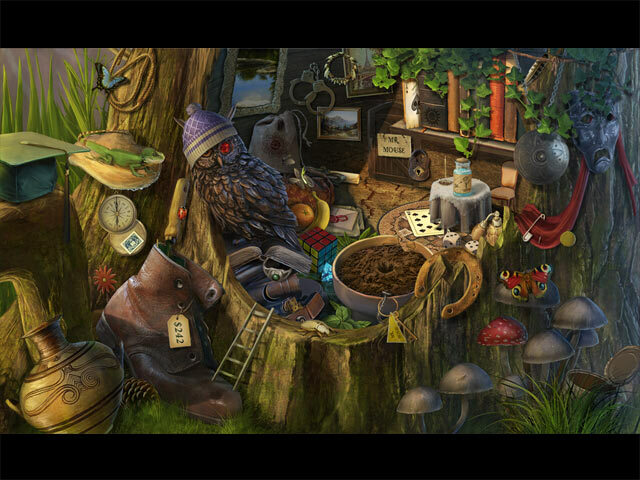 Rated 4 out of 5 by carb7250 from Good Game Another good fantasy-themed hidden object game from BigFish. Rated 4 out of 5 by biscuitsmama from Another Escaped Evil Wizard but a Great Game! As the game begins we see a cutscene of a farmer who crashes his tractor and is soon enveloped by a thick fog. As an inspector for Scotland Yard, you are called in to investigate when you also encounter the fog and crash your vehicle. You soon come to realize that the strange, foreboding fog is indeed changing the area and you must find a way to stop it. As you move through this entertaining adventure you will travel through forests and mythical castles, all while meeting some interesting creatures who will help you along the way. The graphics are very colorful and crisp with lovely hand drawn artwork that enhances the beautiful fantasy setting for the game. Even though the graphics do appear a bit cartoonish, they are still very, very good. The game has voice overs and lip-syncing, but one of the things I found annoying was the long, drawn out slow speech of some characters. Some of the spoken dialogue was snail-pace slow and it drove me nuts. The musical score is nice and I didn’t find it too overpowering, at least I didn’t turn the music off as I sometimes do when playing a game. Your journal and interactive map are located on the bottom left of your screen. The map shows where tasks are available and also where they have been completed. With a lot of back and forth going on in this game, the transporter type map proved to be extremely useful and a big time saver. The strategy guide and hint button are on the lower right of the screen. Since this is a HOPA game we have the requisite junkpile HOS, some of them extremely overcrowded. 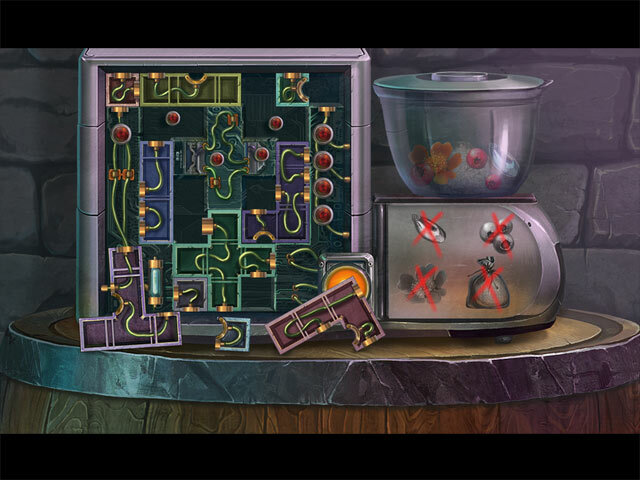 Along with the HOS there are lots of puzzles to be solved and some of them can be tricky. Finally we have a game where the puzzles are not the same old run-of-the mill, type puzzles as some of them are quite different. A few of the puzzles require a good deal of dexterity to complete and those are the ones I struggled with the most. I loved the fact that I had to really think about how to solve some of the puzzles because they were a challenge. The storyline is a bit too familiar, with an evil wizard escaping his eternal prison to wreak havoc upon the world. That being said, it is still a lovely game with lots of entertainment value. Some of you may find it the same old thing so I recommend that you try the demo to see if Road of the Kings is a game you will enjoy. Rated 3 out of 5 by ninja226 from Road of Kings is Long, Lonely, and Challenging This is a long game, for sure, but a bit frustrating to play in intermediate mode, in which Hint and Skip allowed, but NO HELPFUL MESSAGES and Map feature is cryptic. I felt like I was in the wilderness and had lost my compass. Had to use the Hint button a lot, and skipped several mini games. At points, the story line became more discernible and enjoyable, but for the most part, the tasks to perform as you progress in your journey are not that obvious. I guess if you enjoy hard games, this one's for you. The artwork is just OK for me and on the simplistic side, but it does take place in Scotland, which is not a common locale for most HO games. There are imaginative parts to the game that is refreshing, but I didn't enjoy the game as much because I felt as if the devs were withholding clues to make it more challenging for people. Rated 3 out of 5 by VelvetRose55 from Nice for younger players This is a nice game if you like bright fairy tale colors, light fairy tale music and a fairy tale theme. In other words, it was a little young for me. It was amusing. I could see this story line in a much darker setting. People turning into wood? Creepy good. You are given two companions which sit there waiting for you to need them. There aren't a lot of uses for them so they will sit there most of the time. I found that rather annoying: especially since one of the companions insisted on attracting my attention every few minutes. I would love for these games to let you replay the end movie. Anyway; it was cute. Rated 3 out of 5 by fundit2 from good premise but went downhill I started out liking this one but the further I got into it, the less fun it seemed. Thank heavens for the map as you were always backtracking and any place that something was left to do was "live" even when you didn't have the needed supply. I did finish it, though. I rate as only fair. Rated 2 out of 5 by thebubba from ! minute in and I have trepidations From the moment you begin this game and look at the horrific child's book style renderings you just know this won't be a keeper. The graphics are terrible, the music is terrible, and my 7 year old grand daughter who loves to play Big Fish games had no interest. "This looks silly Pop Pop." Umm, yeah Lila I agree. I've seen people turn into trees in other Big Fish games. Ominous. These tree people looked more like cartoon firewood. I would have rated the game a 1 but for a few decent puzzles. Road of the Kings is a road best not traveled. Rated 2 out of 5 by geniegal from Not Bad - Not Great I played about 10 minutes of the trial. I am intrigued by the story line, but not enough to endure endless HOS, mini-games and wandering around wondering what to do next. Sorry - deleting game as soon as I finish here. Rated 2 out of 5 by bessiegirl from Can't believe it got good reviews This had such good reviews that I made the mistake of buying without demo because I had to get another credit in before losing them all at the end of the month. Good thing it was on sale. Boring, boring, boring ridiculous fantasy game with horrible narration. The only thing good about this game was it was colorful and the animations were good. Slow moving and dumb. The only reason I didn't give it a 1 star is I really dislike the word "hate". HOS were adequate but the puzzles were awful. I just cannot believe the ratings. Transporter map had these little lightening bugs...good grief. Rated 2 out of 5 by roaming from Big Yawn I am really not much into fairy fantasy games and cute little helpers, but I happen to be a great fan of pocket dragons! And the raccoon isn't wearing clothes -- yay! This seems to be a pretty simple game, both in the puzzles and HOS, and in game play. In this one, the scenery is so gorgeous, even in the HOS, just looking around without having to tax your brain too much could be a little like a vacation, though at one point during the demo, I started to get somewhat bored. I finished the demo just as the evil Cornelius appeared, but it's still unknown what the story may bring to raise the tension. Every story needs some kind of dramatic structure. So far, the action is like paddling a canoe down a quiet stream and picking up a few things along the way. My final verdict is, this game appears to be the best of several recent SE offerings. I'll get it with a coupon. AFTER PLAYING GAME: Huh. Just as I feared. This game was soo boooring. No drama. No tension. Just back and forth and seek and find and place. My final final verdict: Tiddly Winks would be more engaging. Rated 2 out of 5 by 1RedZ from Slam You Into A Wall Ending Based on the completed Standard Edition. I played the hour trial of this game, before I decided to buy it, and I have to say the the first hour is the best of the game, as it becomes somewhat silly after that. The reason that I have given this game such a low rating, is the shockingly abrupt ending, like being slammed head first into a wall. I'm sure the Collector's Edition finishes the story, but the Standard Edition just stops. If the game had been better, I might have considered buying the Collector's Edition, to find out how everything turned out, but as I have said, after the first hour, I became annoyed and frustrated with the nonsensical clues. All in all a very disappointing game. Rated 2 out of 5 by deebee01 from How did People give this 5 stars? Played for 10 minutes and had to quit before it drove me mad. I don't know if this is intended for young gamers, but as well as being asked every 5 seconds "now what could I use here?" or every time I clicked anywhere "I thought that would have worked" or "that could have gone better" Sorry but this would only get 5 stars for irritating. Rated 2 out of 5 by woodspinner from Abandon logic all ye who enter here. I agree that the graphics were good. But I had a real problem with how to solve problems in the game. One example to illustrate my point. You come upon a tree that is hungry and wounded. The solve is to feed it a doughnut and then put a band aid on the wound. That's just silly and illogical. Uninstalled after 30 minutes.